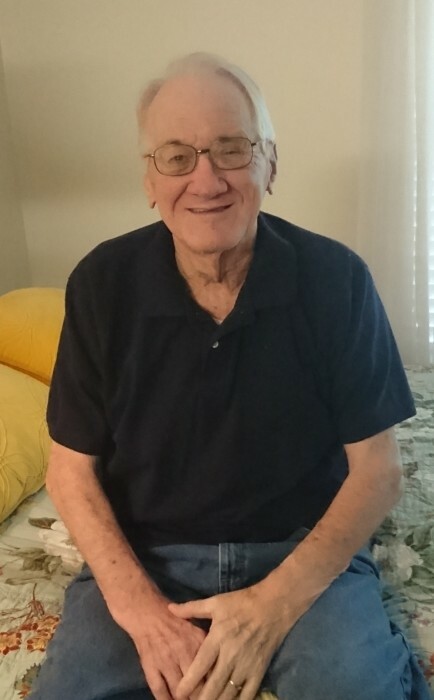 Mr. Everett Wendell Darnell, age 77, of Albertville formerly of McVille Road, Boaz, Alabama died on Thursday, August 30, 2018 at Albertville Nursing Home. Graveside service will be held at Two o’clock p.m. on Sunday, September 16, 2018 at Beulah Cemetery. There will not be a visitation. Mr. Darnell was born in Alabama on January 23, 1941 to Walter Earl & Etrulia Gray Darnell. He was a retired lineman for the telephone company. For the last 30 year he was very active in the Marshall County Baptist Association Disaster Relief. He was also a former member of the Marshall County School Board. Mr. Darnell is survived by his Daughter & Son-in-Law: Beth & Shawn Harper of Boaz, Grandchildren: Nathan & Brittany Burgett, Casey & Hope Underwood, Kate Darnell and Jesse Darnell and their mother Lisa Darnell, great grandchildren: Avah and Lawrence Underwood, Bayley, Liam, and Riley Burgett, Brothers & Sisters-in-Law: Cloyce & Sharilyn Darnell of Florida and Floyce & Judy Darnell of North Carolina, a Son-inLaw: Robert Jr. & Judy Kile of Glencoe. He was preceded in death by his parents: Earl & Etrulia Darnell, Wife; Virginia Darnell, Son: Jeffrey Darnell and Daughter: Kimberly Kile. In lieu of flowers the family suggests donations to Marshall Baptist Association, Disaster Relief Fund 3555 Al Hwy 69 West, Guntersville, Alabama 35976.